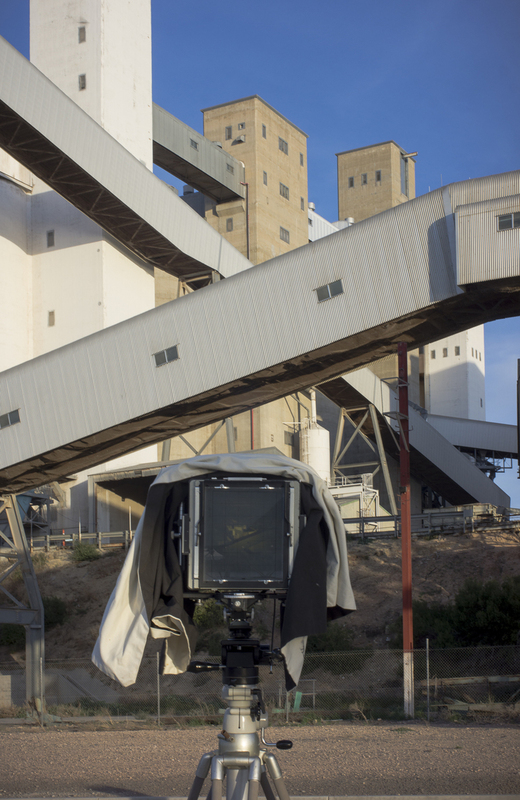 The general consensus is that film-based, large format photography will endure in the digital age due to its simplicity i.e., relying on minimal technology to render a high-quality image. It is true that there is very little that can go wrong with a view camera from the standpoint of technology failure. 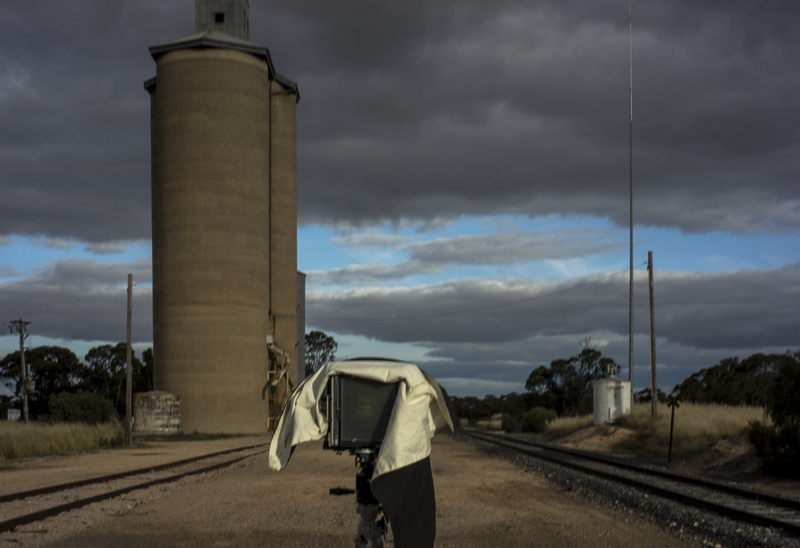 The picture below is the result of my first steps in the 8x10 Mallee Highway silo project. This is a silo at Lamaroo that I photographed whilst returning from Canberra in 2015. 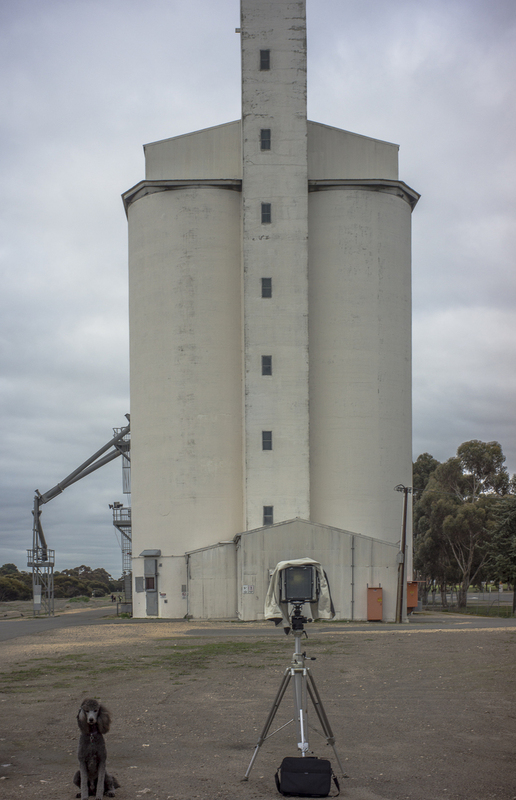 I had scoped the silos on my way to Canberra a week earlier, and I thought that they would be a suitable place for me to start. 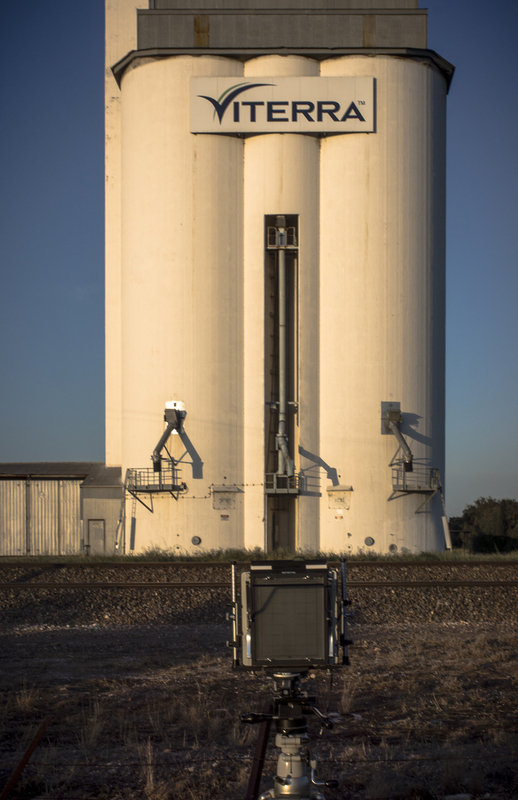 There was easy access to the silos, no security and the silos suited the afternoon light. As it was raining when I arrived in Lameroo, I waited in the Subaru for the squall to pass, then I carried the Cambo monorail out to the location to make a couple of photos. It started raining just as I finished the shoot, and it rained all the way on the drive back to Victor Harbor. The 19th century photographic look of the sculptural form of the silo imposed on the landscape is what I am after. Though there is an emerging climate of photographic nostalgia for traditional photography and the craft of handmade images, traditional photography for me is just large format + film; rather than alternative photographic processes, such as the wet plate process, tintypes or ambrotypes. 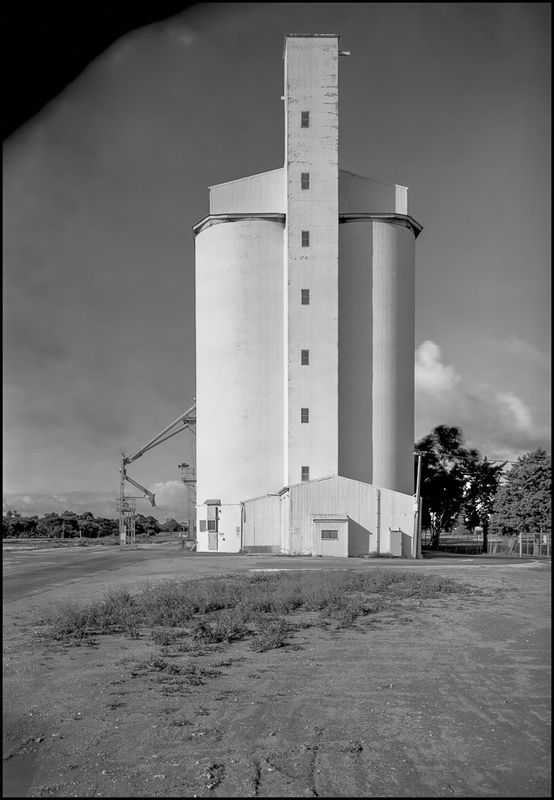 Unfortunately, my old 240mm Schneider Symmar f5.6 lens could not cover the movements of the Cambo's raised front standard; the trees in the shade on the right of the silo have no detail; the negative has streak marks from the tank development of Ilford FP4 Plus at the Analogue Lab in Adelaide; and scanning the negative with the Epson V700 flatbed scanner has caused Newton Rings to appear on the digital file. All in all this is a disappointing, and somewhat disheartening result. Sure the project and equipment are a low budget, but I had been hoping for better results than this.